The wait is over and Pittsburgh running back Le’Veon Bell will officially not be a Steeler this year. When he didn’t report to headquarters by the deadline on Tuesday 4:00 pm ET, he forfeited his franchise tag and $14.5 million salary (not including the $8.5 million he already gave up by not showing up at for the beginning part of the season). For a full recap of why Bell held out and what his options are now, click here. Serena Williams graced one of the covers of GQ’s Man of the Year issues with the word “Man”crossed out and “Woman” written in. Her fans were upset though because the word woman was placed in quotes. Serena has been accused by critics of appearing to “manly” and even using drugs to make her more muscular. Serena has said in response, “I just work hard and I was born with this badass body and proud of it.” According to GQ, the quotes weren’t meant as a slight. 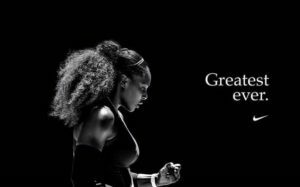 Apparently the designer uses quotes as part of his branding and past collaborations with Serena. 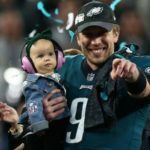 In the NFL season opener, last year’s Super Bowl champions, the Philadelphia Eagles, barely edged out the Atlanta Falcons in a sloppy, low scoring game. The highlight of the night was a trick play from last year’s Championship called the “Philly Special“. On Thursday night, the team renamed the play the “Philly Philly” which featured a pass from receiver Nelson Agholor to quarterback Nick Foles. The offense only gained 15 yards on the play, but the Eagles found enough energy to put the necessary points on the board for the win. Unfortunately for the Falcons, their offense struggled, and quarterback Matt Ryan couldn’t connect in the red zone. Eagles 18, Falcons 12. Serena Williams started slowly but held on to beat former #1 player Karolina Pliskova 6-4, 6-3 in the quarterfinals at the US Open. Williams, who is looking for her 24th Grand Slam, will face 19th-seeded Anastasija Sevastova of Latvia in the semis. Rafael Nadal held off Dominic Thiem in five sets. The match lasted 4 hours and 49 minutes, 0-6, 6-4, 7-5, 6-7(4), 7-6(5) recording the longest match in this year’s Open. 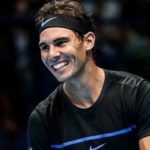 Nadal told Thiem after the match that he was sorry, and that he should keep going and will have plenty of time to win. Nadal will face Juan Martin del Potro in the semis. In other US Open news (if you can call it news), a woman, Alexa Greenfield, was eating chicken fingers with her nephews and was spotted dipping the chicken fingers into her coke. The shot of her in action trended on social media and now according to Alexa, “People are telling me I should go to jail”. As reported earlier, Colin Kaepernick was named as the face of Nike’s 30th Anniversary “Just Do It” campaign, and to no one’s surprise everyone had an opinion. There was a potential fallout for Nike, however, as Reuters reported “shares of the company stock dropped three percent during early trading Tuesday, while the hashtag “Nike Boycott” trended on Twitter throughout the morning.” Nike would not have gone down this path if they didn’t think the risk would pay off, so it will be interesting to see how sales progress going forward. Serena Williams beat Goerges in the semis at Wimbledon in easy straight sets 6-2, 6-4. She will face Germany’s Angelique Kerber on Saturday in the finals. 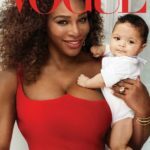 Serena is 36 years with an almost 1 year old baby girl. Before maternity leave, Williams was ranked #1 in the world, but after 13 months off, her ranking dropped to #183. Tournament organizers, however, agreed to seed her 25th at Wimbledon in order to show the tennis world they don’t penalize women for taking time off for maternity leave. After a hip injury causing Isaiah Thomas to bounce around the League from Boston, to Cleveland, to the Lakers, it’s been reported Thomas will sign a one-year $2 million deal with the Denver Nuggets as their 6th man. It’s also been reported Jeremy Lin will leave the Brooklyn Nets and head to the Atlanta Hawks. England and Croatia face off on Wednesday in the World Cup semifinals. With the excitement of England returning to the semis for the first time in 28 years, the organizers at Wimbledon have loosened their cell phone policy in order to let fans follow their team. Normally, spectators in the stands have to turn off their phones and electronic devices, but according to reports, the policy will not be enforced this week. Speaking of Wimbledon, for the first time in any Grand Slam event, no player ranked as a top 10 seed made it to the quarterfinals. 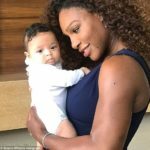 Serena Williams, now ranked #25 due to time off after her pregnancy, did make the quarters and is looking to win her eighth Wimbledon title. Former Chicago Bears quarterback Jay Cutler left his job as a Fox analyst last year and unsuccessfully trie to resurrect his career with the Miami Dolphins. 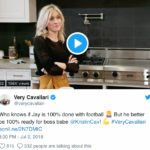 Now he’s become a reality TV star on his wife, Kristin Cavallari’s new show, “Very Cavallari”. According to fans, his deadpan laziness makes him extremely watchable and entertaining, although he still hasn’t ruled out a football comeback. LiAngelo Ball is back from Lithuania, and since he won’t be going back to UCLA (suspended by the Bruins for shoplifting during a team trip to China), is working on his NBA draft prospects. On Tuesday he worked out with the Los Angeles Lakers (where his brother Lonzo plays). LiAngelo also has a workout scheduled with the Golden State Warriors, but it’s unclear whether any team thinks he’s matured enough as a player to draft him. In other 76ers news, Coach Brett Brown agreed to a 3-year extension with the team. Serena Williams is the greatest of all time!!! With her 23rd Grand Slam title after beating her sister Venus over the weekend in the Finals of the Australian Open, Serena at 35 years old, has taken tennis to a whole new level. Rounding out a terrific weekend, and also making a claim for the greatest of all time, Roger Federer won his 18th career Grand Slam title (also at 35 years old) beating Rafael Nadal. In a surprising move, the San Francisco 49ers hired former Stanford player and Hall of Fame candidate, John Lynch as their new General Manager. Lynch has been working as an NFL color commentator since his retirement from playing the game. Even though he doesn’t have any front office experience, the Niners signed him to an unprecedented 6 year contract. The Team also plans to hire Kyle Shanahan as their new head coach. Venus/Serena Williams Final, Will Carmelo Go To Cavs? It will be a Williams Sister Final in the Australian Open. Serena and Venus Williams will play each other in the final on Saturday. This will be Venus’ first grand slam final since 2009 and their ninth playing each other in a Grand Slam. Serena has the edge with 6 wins to 2. If Serena wins on Saturday she’ll regain her #1 ranking. For Venus, a win would be a testament to her hard work and perseverance in the face of adversity. Since 2011 Venus has been battling an auto-immune disease called Sjogren’s which causes fatigue and join pain. Venus fought back and didn’t let the disease define her. 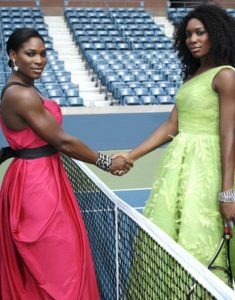 As Serena stated, “After everything Venus has been through with her illness and everything, it’s a win-win situation”. Venus went on to say it best, “This is a golden time, a golden time. I couldn’t ask for anything more.” If you’re up, you can watch in real time 3:30 am ET Saturday morning. Even though the Knicks’ Carmelo Anthony has a no-trade clause in his contract, it’s been reported the team has approached the Cleveland Cavaliers to waive the clause and trade him to for the Cavs Kevin Love. Carmelo and LeBron are friends and have communicated how much they’d like to play together. LeBron also hasn’t been shy about complaining his team needs another star player, but the Cavs aren’t letting on to what their plans are prior to the February 23rd trade deadline.